In my relatively short time with Spinfuel VAPE, only one device has been as polarizing among the full-time staff as the Vaporesso Revenger. While I had more than my share of trouble with the device (and its companion tank) other staff members found it to be a fantastic piece of hardware. 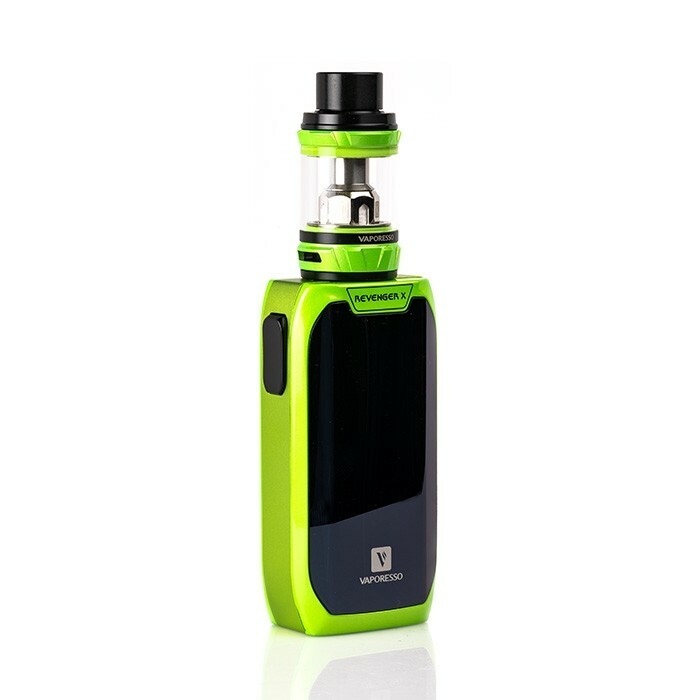 But there’s not going to be any debate this time – the Vaporesso Revenger X is great. Happily, the Revenger X fixes everything that troubled me with the original, and adds a nice new interface to form the best sequel since Godfather II. Let’s see why. Visually, not much has changed since the original Revenger hit the streets, which is good, because nothing needed to change. 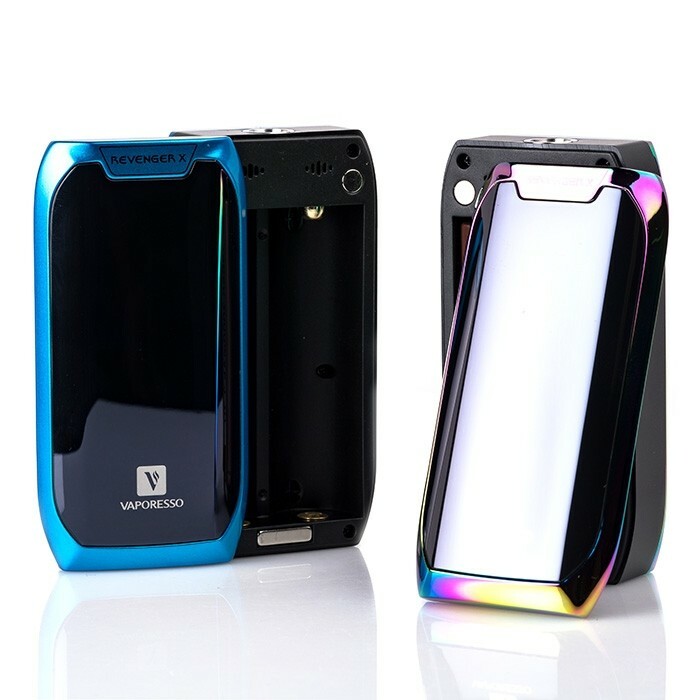 Though it seems a little slimmer, the Revenger X is a near carbon copy of its predecessor, keeping the unique Revenger look, while also staying “on brand” with Vaporesso’s other products. My gunmetal-colored test model was sharp, with a polished aluminum alloy frame, and just enough contrast in the design to keep things interesting. More interesting was the front-facing control scheme, which eliminates the physical buttons in favor of a touch-sensitive, taptic feedback system. Because of this, the Revenger X looks extremely symmetric and uniform, save for the tactile fire button, which barely juts out on the right side of the device. Finally, the press-fit 510 connection seems like it might come loose, but proved to be sturdy and reliable during the entire testing period of more than a week. 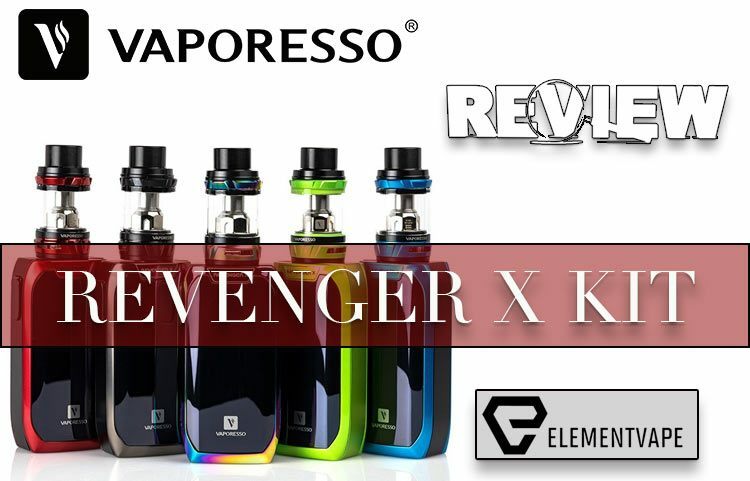 All in all, the Revenger X is extremely attractive and will complement any collection. I was intrigued but skeptical about this new touch-sensitive control scheme, since it effectively meant a screen locking system would have to be implemented, reducing the simplicity. But, thanks to a streamlined menu system and very responsive controls, it was a pleasure to operate the Revenger X. 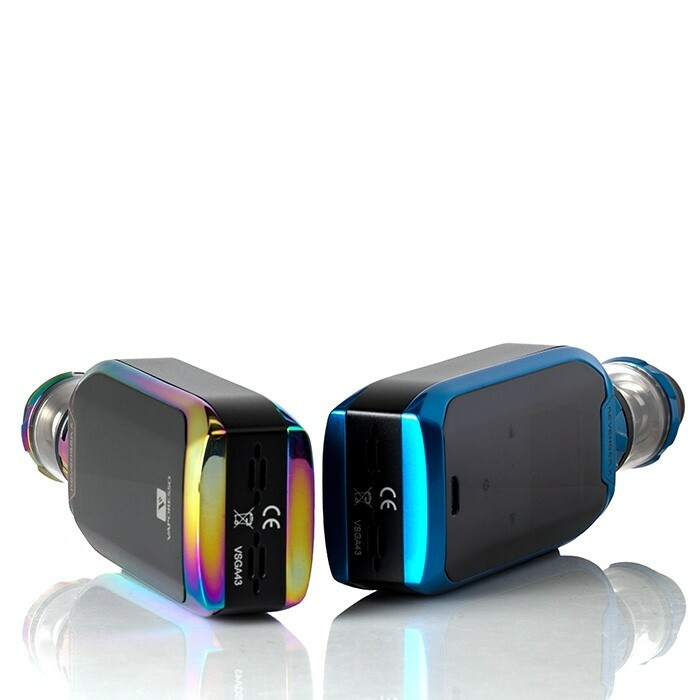 At first glance, the screen and menus haven’t changed, but closer inspection sees that Vaporesso upgraded the Omni chipset and eliminated a lot of the extra steps in the menu system. Now, changing settings and adjusting wattage/temperature is a breeze, and much more intuitive for new users who might be turning to the Revenger X as their first advanced mod. The taptic touch system is fantastic. Each press of the icons gives users a reassuring buzz, letting them know the entry registered correctly. My concerns about necessity and extra button clicks were quickly eradicated once I fired up the Revenger X. Within seconds of installing the batteries, the mod recognized my coil, suggested a wattage, allowed me to adjust, and we were off to the races. Once I hit the fire key, the touch system locked, preventing further clicks. It does take three clicks of the Revenger X fire button to reactivate the touch controls, which should be more than enough to stave off pocket fires and accidental adjustments. In the menu system, three taps of the settings icon brings you to a simplified, one-tier menu, which lets users easily adjust everything from one screen. 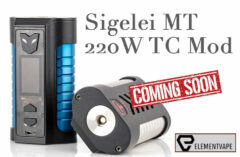 Even the more advanced settings, like TCR, and custom temp and wattage curves, are accessible from the outset. It’s surprising Vaporesso didn’t implement this system in the original Revenger, but we’re happy they got it right this time around. 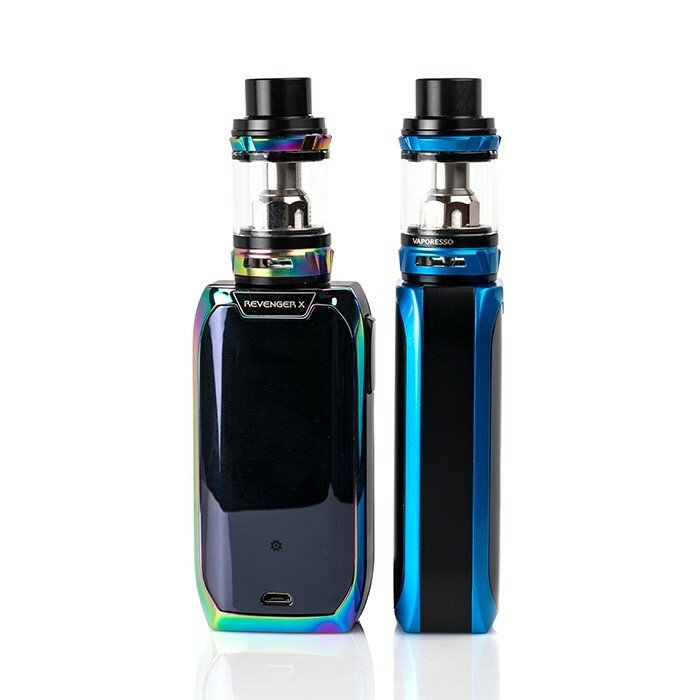 I won’t waste much bandwidth on re-reviewing the Vaporesso NRG tank, since the one included in the Revenger X kit is identical to the original. However, I must tip my cap to the company, as they seem to have improved the GT4 and GT8 coils. In previous tests, I found them to be incapable of wicking well enough to keep up with high wattages, but I had no problems this time out. Instead, both coils performed like champs, and are both still kicking, more than a week after first installing them. 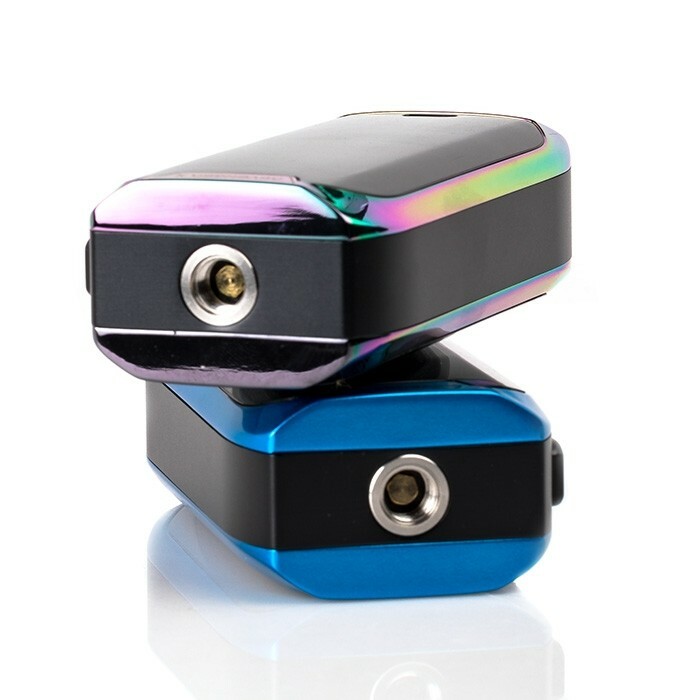 Even at each coil’s max wattage, the GT4 and GT8 both offered decent flavor, good vapor production, and problem-free performance. It’s not going to replace my Uwell Valyrian, but as a throw-in with the kit, it’s a reliable tank to have around. Plus, as we’ve mentioned in the past, the NRG tank accepts SMOK Baby Beast coils, so there’s plenty of options for people who don’t want to pack a bunch of different tanks in their bag each day. In the end, the NRG isn’t the most flavorful, most powerful tank on the market, but many users love them, and now I see why. I feel like this is the first time I’ve seen it perform up to par. The original Revenger had a lot of problems at high wattages, but those concerns are all but gone here. Apparently, the OMNI 2.2 chipset improved more than just menus, because the Revenger X pushed well to just over 210 watts before faltering – a hair shy of its listed capabilities, and a HUGE improvement over the original Revenger. The pulsing and error messages I endured throughout my testing of the original were gone, as well. Instead, the Revenger X just breezed through my testing without a problem. That said, the Revenger X handled every RDA and tank I threw at it, with no problems switching gears from sub-ohm power to MTL precision. Temperature control adjustments were about as easy and seamless as on any mod I’ve used, short of today’s better touchscreen devices. I never had any concerns adjusting wattage in TC mode, and all my different coils were easily detected. 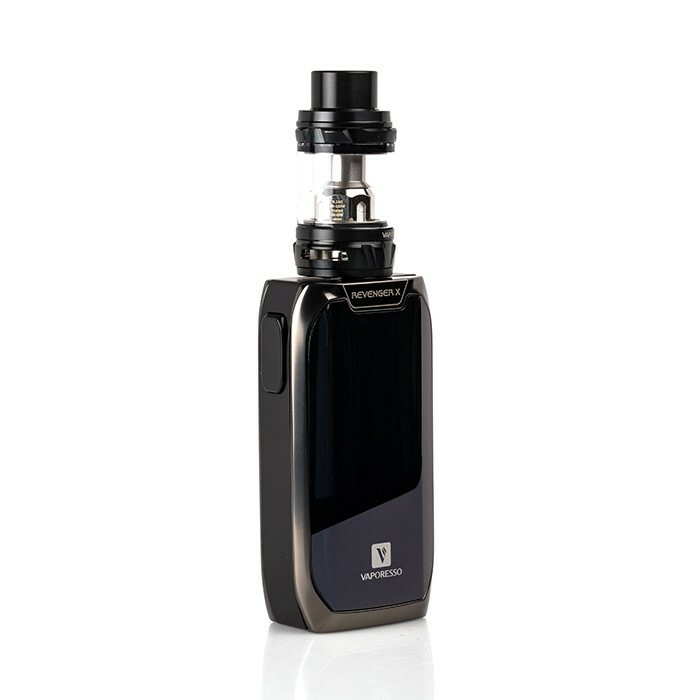 In power mode (variable wattage mode), the Revenger X was equally adept. Using a high-resistance coil on a MTL tank, I never struggled for power, even as low as 10 watts. This has been a concern on some higher-wattage mods lately, but the Revenger X accommodates a wide range of users and vaping styles, with no drop in performance or power. My hat is tipped to Vaporesso. I’m not arrogant enough to think my previous review made them redesign the Revenger series. But every concern I had with the original has been rectified with the Revenger X. And everything I liked has been maintained or improved as well, right down to the fantastic taptic touch controls. 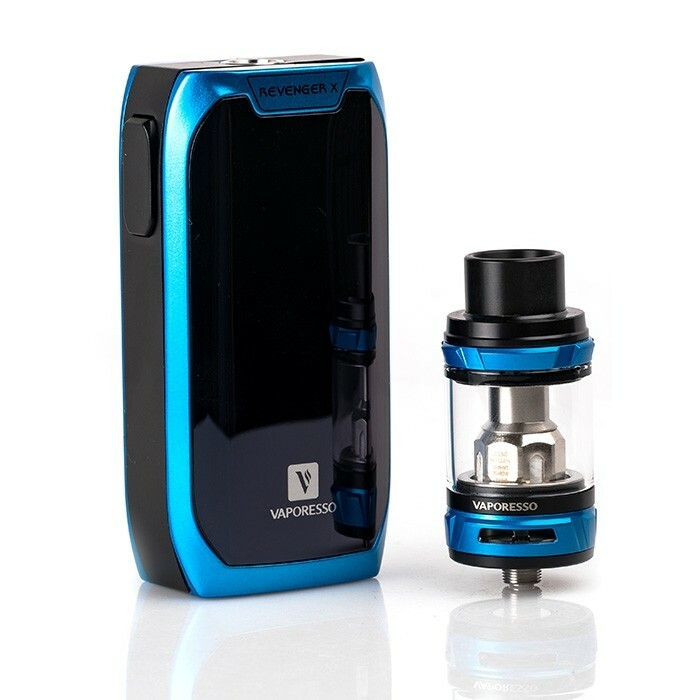 It might sound like I’m gushing, but I always thought the Revenger could have been better with a few modifications, and Vaporesso has delivered in a very big way. 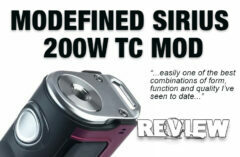 Anyone looking for a stylish, streamlined, powerful new mod should strongly consider the Revenger X.